Good Morning America didn’t report that Erin Andrews’ “important message” was sponsored by a company that makes screening tests. 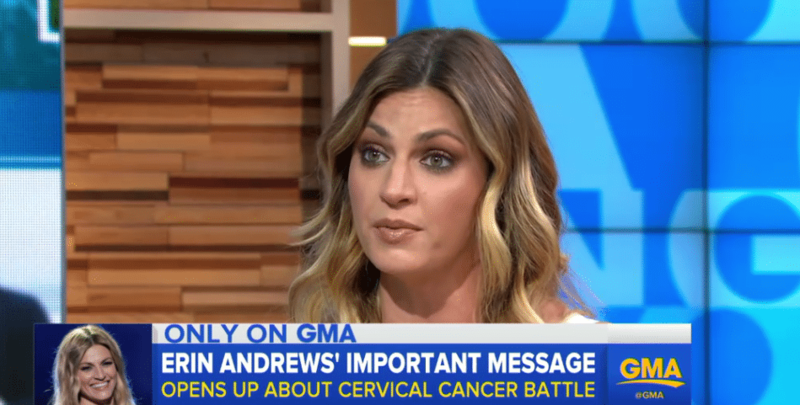 You may have seen celebrity Erin Andrews’ crusade to promote cervical cancer screening, which draws from a well-worn corporate playbook of hiring celebrities to sell medical interventions. But this time the sponsor, medical technology company Hologic, erred in picking a well-off white television personality to offer advice on a disease that disproportionately kills low-income, minority, rural, older, or immigrant women, several experts told us. Further, they said the sports reporter and “Dancing with the Stars” co-host could be nudging women with more resources — who aren’t at high risk — to be tested more often than necessary, subjecting them to harms from follow-up procedures. Andrews, who said she was diagnosed with cervical cancer in 2016, isn’t the first celebrity spokeswoman for Hologic, which makes a variety of diagnostic products including Pap smears and a Pap/human pappillomavirus (HPV) co-test for cervical cancer. The company deployed a similar strategy last year when it recruited Sheryl Crow to hawk breast cancer screening. Back then, we took Crow to task for disseminating misleading messages. 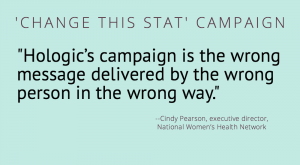 The new “We can change this stat” campaign offers a similarly distorted take on cervical cancer screening. The stated aim of the campaign is to reduce the number of U.S. women who die from cervical cancer each year, estimated at 4,210 in 2017, according to the CDC. HPV can infect the cervix, and sometimes–but not always–causes cancer. But Andrews is clearly the main draw, and unlike her, women who die from cervical cancer often lack access to basic medical care. Cervical cancer is caused by some types of the HPV virus. 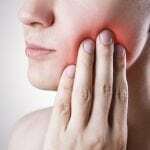 It develops slowly and is highly treatable in its early stages. Women who die from it have often gone years without being screened, for a host of complex reasons. Debbie Saslow, PhD, senior director for HPV-related and women’s cancers at the American Cancer Society, said the highest rates of missed screenings are in the deep South, along the Texas/Mexico border, and in Appalachia. “There are pockets where the rates of people not getting screened are pretty high, and so rather than go with a national campaign based on a rich, white woman, it would be better to try to reach women where they are,” Saslow said. “I’m not saying upper-class white women never get cervical cancer, but if you are looking for the numbers that’s where they are,” she added. U.S. guidelines recommend that middle-aged women get either a Pap smear every three years or a combined Pap/HPV test, called a co-test, every five years. While Pap smears can detect cancerous or pre-cancerous cells, HPV tests identify women that should be monitored because they have the virus that causes those cell abnormalities. Often the virus goes away on its own. Donna Williams, DrPH, director of the Louisiana Cancer Prevention and Control Programs, said Hologic’s campaign overlooks social barriers that make it difficult for some women to get screened. For many of those women, such as single moms juggling family responsibilities and jobs that don’t provide paid time off for doctor visits, it can boil down to a choice between getting a Pap smear and putting food on the table, she said. “With the women we’re interested in, it’s much bigger than just telling them to go to the doctor,” she said. And while a screening may be free, she noted that a positive test can result in additional costs for follow-up procedures that these women might not be able to afford. Self Magazine covered Erin Andrews’ cervical cancer campaign. Hologic and Andrews don’t seem to address these hurdles in a realistic way. Hologic’s website mentions that cervical cancer screening is widely available for free or at low cost, but the thrust of the message is to get a yearly check-up. “I’m asking every woman to join me in making an appointment for their annual exam – and to tell the women they love to do it, too,” Andrews is quoting saying in Hologic’s news release. It’s a point she reiterated in interviews with ABC’s Good Morning America, InStyle, and Self. While the message to see a doctor isn’t necessarily a bad one, none of these news outlets addressed the social and cultural barriers that some women face, or the fact that Andrews isn’t typical of those who are at risk of dying from the disease. GMA also didn’t report that Andrews’ screening advocacy is supported by Hologic. For women who aren’t at high risk, Hologic’s campaign seems to encourage too much testing and goes against recommended guidelines. It doesn’t explain that annual checkups are not needed to guard against cervical cancer. While the American College of Obstetricians and Gynecologists recommends annual gynecological appointments, “There is no evidence that women need an annual exam,” Saslow said. Rather than lending clarity, news coverage tended to obscure that fact. Annual Pap tests were recommended for decades until the 1990s, and many women still “have it in their head” that cervical cancer screening should be annual, Saslow said. Meanwhile, doctors are afraid of losing their patients if they don’t acquiesce, she said. As a result, many women are still screened too often, said Saslow, who blogged about why many doctors don’t follow the guidelines. There’s limited evidence that even less frequent screening could be safe for some women. The Netherlands has considered extending the interval to 10 years for most women over 40. “It’s taken us decades to get this message out (against annual screening). 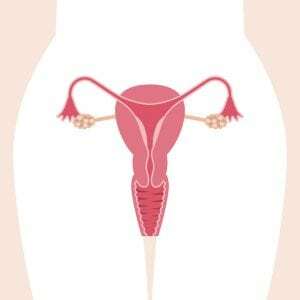 It’s a little bit frustrating to see the annual and exam and cervical cancer in the same sentences,” Saslow said. Cervical cancer screening has been shown to reduce deaths, but it also poses harms that aren’t addressed in Hologic’s materials. Studies have found that more frequent testing greatly increases the chance of false-positive results that lead to invasive biopsies — called colposcopies — that can damage the cervix, resulting in miscarriages or premature births. A positive Pap test can initiate a series of follow-up biopsies every few months. Reviewing available evidence, the U.S. Preventative Services Task Force concluded screening more often than every three years with a Pap “confers little additional benefit, with large increases in harms,” including the treatment of lesions that would go away on their own within a year or two. It said screening with either a Pap or HPV test can produce vaginal bleeding, pain, infection, and failure to diagnose due to inadequate sampling, as well as abnormal results that don’t turn out to be cancer but do cause distress. The news stories we saw overlooked these harms while lapping up narrow, self-serving corporate messaging. 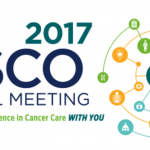 As a result, consumers missed out on important information about screening for cervical cancer. Self was the only news outlet of the three that mentioned the CDC’s key recommendation that kids get an HPV vaccine starting at age 11 or 12. Vaccinations to prevent HPV are expected to sharply curtail cervical cancer cases and lessen the call for screening. Also unreported was that much of the world is adopting the HPV test, which women can do on their own without a trip to the doctor. The USPSTF — whose guidelines sway what insurers will pay for — recently followed the lead of some European countries and Australia in issuing a draft recommendation for an HPV test every five years for women ages 30 to 65. The USPSTF would scrap the co-test, which it said causes a potential twofold increase in risky followup testing while detecting no more cancers than an HPV test alone. Self-administered HPV tests are being studied as a solution for at-risk women who are now going untested. 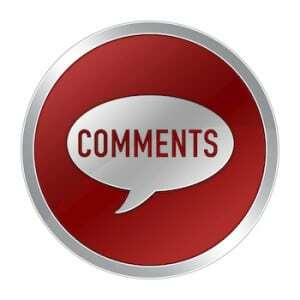 But any suggestion of testing less intensively and less often is not something Hologic wants women to hear about. 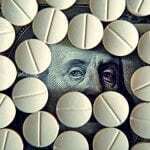 This is a very good example of medicine by corporate interest instead of by public health agencies. The focus should, indeed, be the high risk pockets and direct intervention is the proper policy. Ms. Andresws might do better to campaign for health care reform that would make it available to everyone. I have always cringed at media messages that instruct people to “see your doctor” when such is so out-of-reach for so many. One of the reasons people do not have a “deeper relationship with one’s primary care doctor…”, is that millions of people don’t even have access to any doctor other than an emergency room; hardly a place where you’ll end up with a PAP smear or any meaningful rapport with the attending. Any advice that can only be heeded by those with good insurance (including affordabe deductible and co-pays) is usless to those who don’t have that coverage.